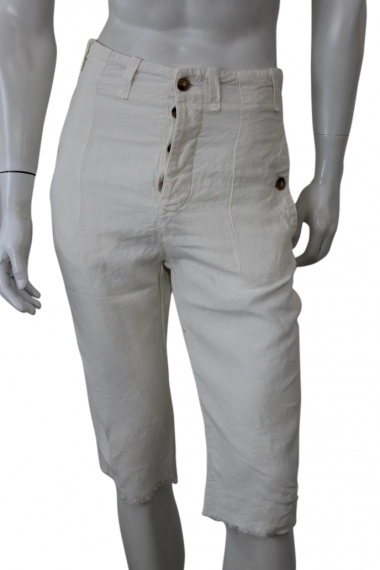 Bermuda shorts in linen. Tight fit, knee length, waist high. Stitching on front pockets with button, back pocket sharp cut with button. Passersby on the walls.